Surveyors for structural, building & homebuyers surveys, valuations, boundary & expert witness reports. In this case both parties were trying to deny ownership of a collapsed retaining wall. Our boundary dispute surveyors were easily able to resolve the question of ownership by reference to the title deeds. The owners of both properties abutting the boundary wall then blamed the other for its substantial and expensive collapse. As the boundary wall remains unrepaired and unstable it is likely that the property on the lower side of the wall is not mortgagable knocking many thousands of pounds off its value. Our surveyors were able to demonstrate with a few trial pits constructed against the wall that the movement of the wall had occurred entirely above ground level on the lower side of the wall. This confirmed that the wall had collapsed because it had been unable to cope with the weight bearing against it rather than because the foundations had rotated due to supposedly leaking drains on the adjacent property as the owner of the walls structural engineer had tried to claim. Measurement with a spirt level suggest that the top fifteen course of bricks lean out 150mm from above the point at which two large longitudinal structural roof timbers bear into the wall. The top ten course of the wall are of single skin construction and particularly vulnerable to further movement. 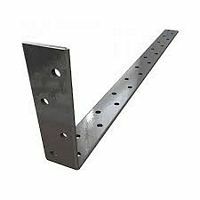 The the likely cause of the leaning wall is failure to restrain it at the time of construction. Reccomedned demolishing the top fifteen course of brickwork and rebuild them with a 225mm wall tied together with either bricks laid across the wall or metal ties. Straps set into the centre of the wall can be secured to the roof structure. The straps can be secured to the existing longitudinal timbers and to planks screwed across and perpendicular to the rafters just below each side of the apex. 18mm x 120mm x 2.4m floor boards or similar would suffice. 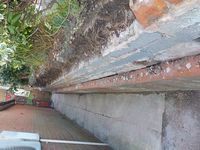 Our Derby RICS surveyors inspected this terrace house. The front and rear walls of this property had been badly damaged by water because of failure to undertake a few hundred pounds of gutter and down pipe repairs. Intruders had damaged the kitchen and bathroom and run off with the boiler as well as damaging central heating pipes. An extension containing the bathroom and kitchen was single skin construction and likely to be cold and prone to water penetration. An attic conversion had dangerous stairs and no fire protection and probably no insulation of the ceiling. 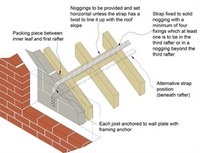 Independent CPR Part 35 report for court on poor workmanship to a Leicester roof by rogue traders. This roof was recovered at a cost of £12,000. The work was probably largely unnecessary. Most of the work will have to be redone. Report on a defective Leicester roof by cowboy builders. In this case a rouge trader could not find the cause of a small roof leak and after several visits to the property advised the owner that the battens were rotten and that it would need to be recovered at a cost of £4000.00. The trader then only recovered one face of the roof but charged for two. One the face of the roof he did recover he did not carry out any work to the actually area of the roof that was causing the leak. The recovering was so badly done that the roof will have to be recovered again. The actual cause of the leak was where the small front gable over the bedroom window joins the main roof and could have been repaired at a cost of a couple of hundred pounds. The two valley liners that run either side of the gable did not meet at the apex and when a mortar joint between the covering tile and main roof had fractured water was able to enter. Here's what £700.00 of bathroom tiling looks like. This was the worst tiling job that our Leicster RICS Expert Witness Surveyors had ever seen! There was nothing good that could be said about it. All will have to be scrapped. Failure on such jobs are invariable caued by failure to think for a few minutes before starting work and failure to use simple tools such as a tape measure, square, level plumb line or spacers. If engaging any contractor start to worry at early stage if they rush into the job and do not make frequent use of the simple tools mentioned above. A good building or construction job always starts with good planning which almost always involves ten minutes with the tape measure! Our Leicester surveyors found frost damaged bricks blocked vents and poor insulation that was likely encourage condensation, substandard electrics, a dangerous glass door, potenially dmp quarry tile floors, old ceilings that were at risk of collapse, missing firebreak walls and missing roof linings. RICS Surveyors report on Damp and Timber Decay in Leciester. 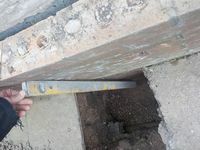 This case explains why surveyors check properties for good underfloor ventilation of suspended timber ground floors in structural surveys, building surveys or home buyers reports. Surveyors found suspected dry rot and beetle infestations due to a failure to provide simple underfloor ventilation, a damp chimney and substandard floor. The Beetles are encouraged by the poor underfloor ventilation as they like damp timber that is encouraged by high humidity. The dry rot likes areas with poor ventilation as it prefers to grow in still conditions. Most dry rot decay is however triggered by a large increase in moisture levels such as a broken rainwater pipe or flood. The surveyors also found black mould in the living accommodation caused by high moisture levels and lack of heating and by lack of heating and ventilation. Damp and timber survey by Leicester RICS surveyors. Our surveyors found a dangerous boiler, dry rot beetles and wet rot. Poor venetilation was again the cause of all three problems. Building Survey Leicester is owned by Steve Butler - RICS Chartered Surveyor, a member of the RICS Building Survey Valuation and Residential Property divisions. We are also highly experienced Independent Experts for residential property in Leicester in respect of matters such as valuation, boundaries and construction disputes. Our Leicester Surveyors are fully qualified MRICS members and Registered Home Inspectors and RICS Regulated Valuers ensuring the practice complies with exacting standards. We provide a professional, cost effective residential property survey service and try to be as accessible as possible. Our survey reports are written in plain language with minimal caveats. Our clients like our straight forward approach, and that we try to go that little bit further on behalf of the client. 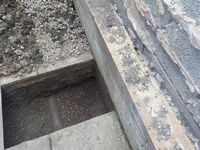 Clients are particular welcome to attend the survey so that defects can be discussed on site. Our surveyors can invariably visit clients in Leicester the same day or next day, at the office or home. We can provide a rapid response in the Leicester areas at low cost. Homebuyers Report and Building Survey prices are fixed so that you know exactly where you are. If you are you buying a property in Leicester then a pre-purchase Building or Structural Survey may help avoid future expenses. Our RICS surveyors have a wealth of experience in surveying and valuing residential property in Leicester offering an efficient and competitive service. An RICS Structural or Building Survey will tell you about the condition of the property including the state of the chimneys, roofs, rainwater goods, roof edges, walls, floors, ceilings, partitions, windows and doors. We can tell you whether there is any structural movement or settlement, wet rot, dry rot, woodworm or damp problems. We give you an overview of the services such as the electrical installations, boiler, central heating, hot and cold water. Congratulations! You are now listed as one of the Top 3 Surveyors in Leicester. We would like to Thank You for providing consistent high quality in your area of business. 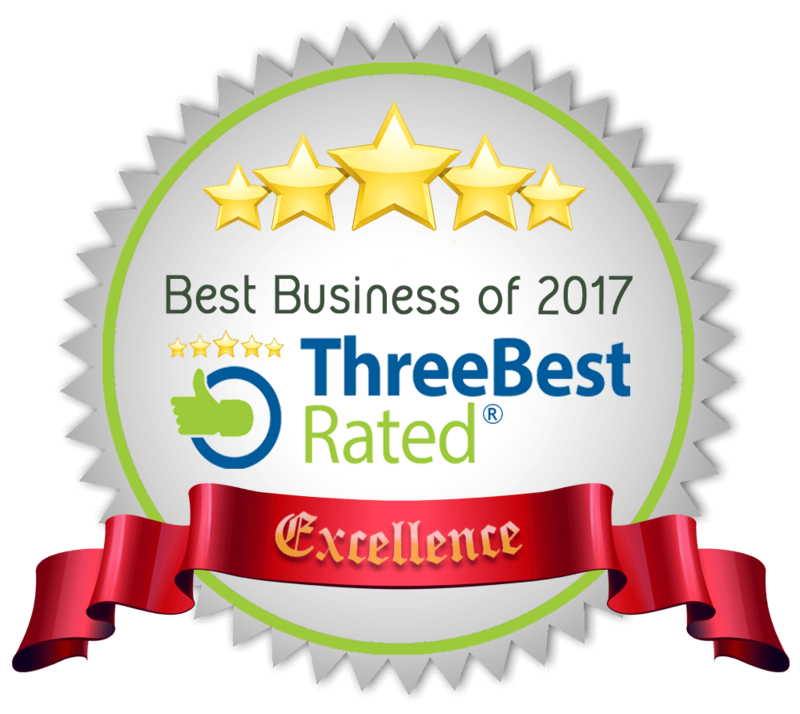 Our review team either approved or updated your business listing using our 50-Point Inspection which includes everything from checking reputation, history, complaints, ratings, satisfaction, trust and cost to the general excellence. Steve also picked up dodgy wiring, old lead pipes and a suspected breach of the boundary line by an extension of the property.